Dozens of authors and a few staff members held readings and panels across all three days (complete list found here). The Sarabande Books Reading, in which five of our authors—Kathleen Ossip, Rick Barot, Kerry Howley, John McManus, and Wendy S. Walters—read from books they'd published with us and fielded questions about their experience with our press. 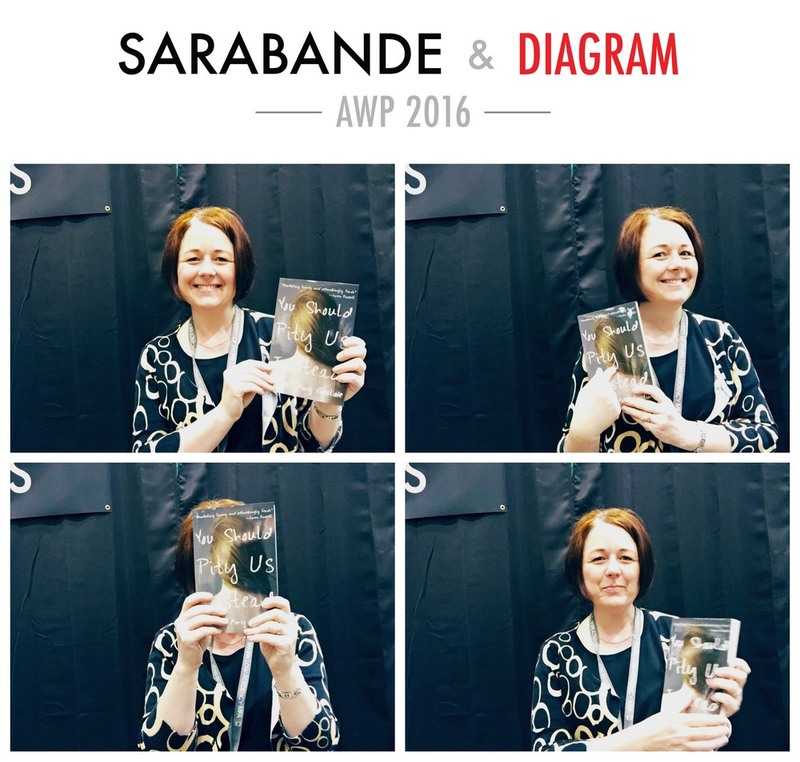 Kristen Miller, our Director of Programming and Development, spoke to how she used erasure poems in Sarabande Writing Labs on the panel Renewing Constraint: The Legacy and Practice of Restricted Writing. Kristen Radtke, our Managing Editor, used her experience designing our book covers while on the panel Seeing There: The Intersection of Visual and Literary Art. Authors signed new and forthcoming books Thursday and Friday, including Rick Barot, recent winner of the 2016 PEN Open Book Award and the UNT Rilke Prize. 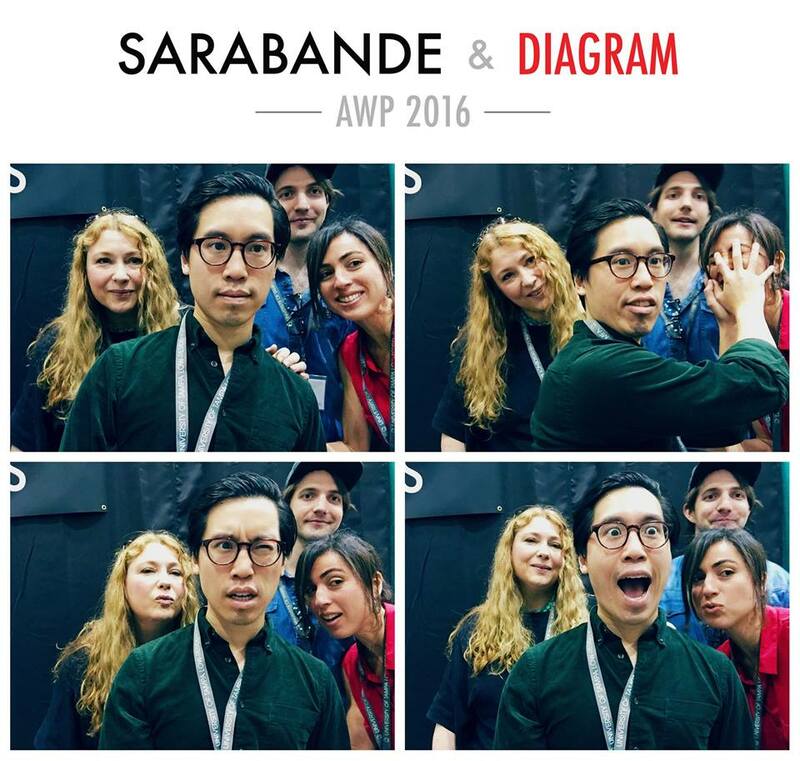 Find more photos from the Sarabande & Diagram photo booth on our Facebook page. 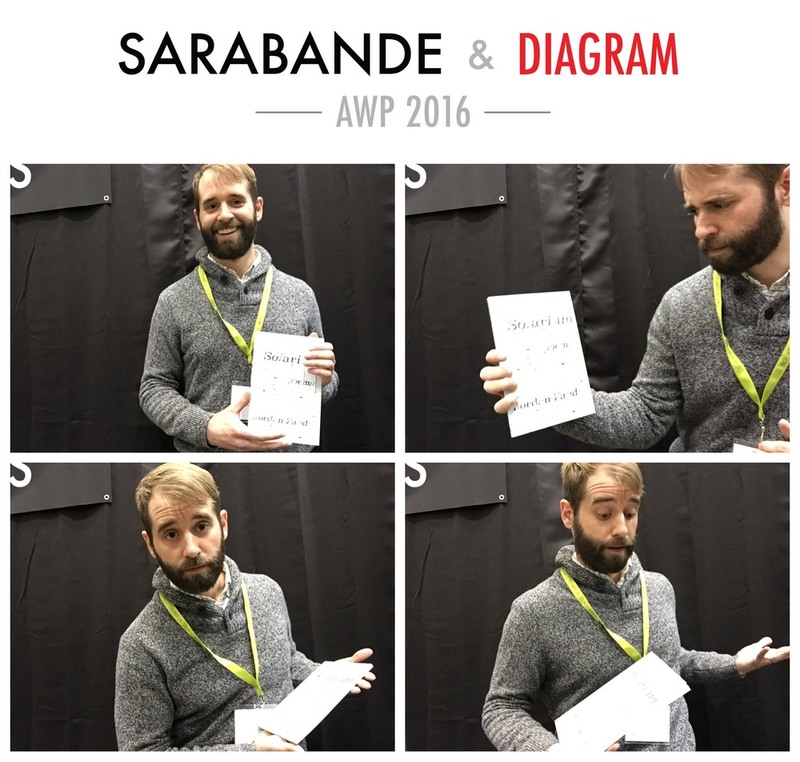 AWP is right around the corner and we have all the info you'll need to keep up Sarabande here. This year we'll be set up at Booth 513 next to our friends at DIAGRAM. We're stacking the books high with all our favorite titles from over the years, all our new titles, and a few . . .